Honestly, i think the phone is just ok for its price and quality. 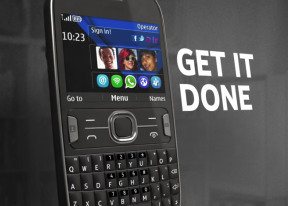 i love nokia asha 302 and i want to get it. Can anyone tell me which is the latest version of software available for update on this phone ?? I have been using this phone for weeks now but I can't download 2go on it. What can I do? sirji,i am not able to copy the picture from phonecamera to computer desk top,can you give me the suggetion pls. Arpit, 30 Jan 2013This handset support Tamil language...Is it supporting Tamil on Messaging? superb phone but iwant 2hand mobile any 1can sold for me? The phone's specifications are absolutely fine given the price tag. It's good for someone who doesn't want to spend money changing phones every 3 months! It's a user-friendly device and durable as well! You can use it as a dongle/modem to connect your pc/laptop! Keep it simple and you wouldn't have to bother for a couple of years! After going through all its specs and after reading all the good & bad user opinions, I've finally decided to go for it. There are some shortcomings which you can come across in any device... however these shortcomings can be taken care of if you understand Technology! It's not rocket science! I'm gifting it to someone I love who is as simple as me! Is this support Indian languages? esp Tamil? Hello guys, i'm using this phone for about 7 months and i'm really enjoying using it. My phone's current software version is 14.53. I wanna update it via nokia care center. But the problem is that i didn't buy it from a nokia center, i bought it from a friend of mine, therefore, i don't have a warranty card. In this case, will nokia care update my phone's software for free? If not, how much will it cost? can some pls suggest to me which network can connect to nokia and enable me update my firmware;bcos i av tried updating it with airtel nigeria,but each time i try updatin,it keeps on sayin no available software for update. As i post dz comment,i can authoritative state that my phone still runs the firmware that it came with. Which is somethin like 14:26. So any help regardin the networks in nigeria will be very much appreciated. Thanks a million! does viber & whtsapp work in this phone?? ?